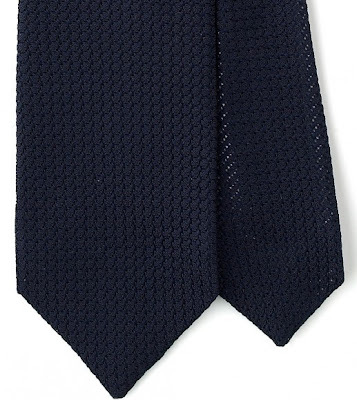 Printed (50oz royal twill)As more men wear ties to work again, it is important to understand the small but important differences between the textures of ties. This is essentially what drives the formality of a tie, and many men when returning to ties will want to keep this formality to a minimum, to compensate for the formality of the tie itself. Most ties are made of a printed or woven silk. A woven silk, as it has more texture, will usually be less formal, though satin is the most formal silk – as it’s the shiniest. Throughout I link to examples from Drake’s, so you can get an idea of the variations. WovenWoven silk comes in lots of different variations, but the only alternative you really need to be aware of is grenadine, which is a noticeably thicker weave – and itself comes in large and small knots. Then there’s knitted silk, which is a yet chunkier texture. You’ll be most familiar with it in thin, squared-end ties. GrenadineMoving away from silk, we have wool, linen and mixes of both with silk. 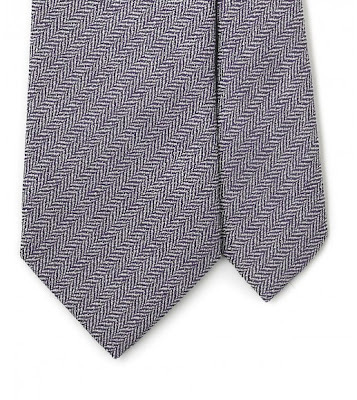 Although the weave may be finer than a knitted silk, for example, any wool or linen tie is more casual than any silk because of its matte texture. The same goes for madder. Silk and linenWithin these alternative materials, the rule remains though – a silk mix is smarter than a cashmere is smarter than a chunky wool. Have fun with the world of ties. You can follow the discussion on A short guide to ties by entering your email address in the box below. You will then receive an email every time a new comment is added. These will also contain a link to a page where you can stop the alerts, and remove all of your related data from the site. This is something I should have paid more attention too when I started building my tie collection. Almost all of my ties are too formal (ie printed or woven silk) for anything other than working at a bank in 2001, or weddings. I need way more textured ties and squares. I, too will need to start shopping for more textured ties. I shall start with wool and eventually work my way up to grenadine. Printed and woven silk I have in plenty. I miss the raw silk’s in the discussion. 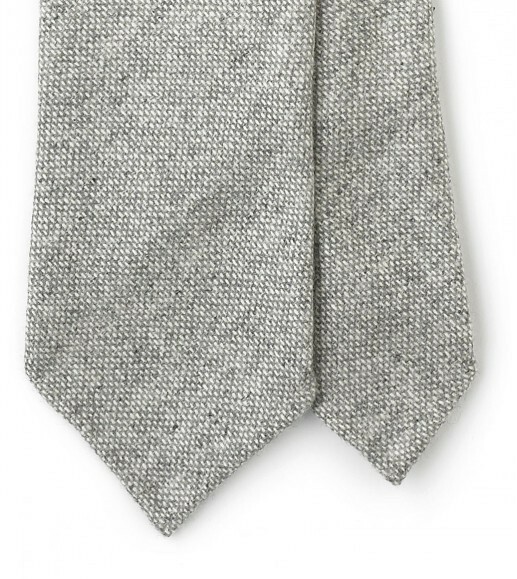 Have you ever heard of the new (knitted) tie brand in town, Cravatta Pelliano? 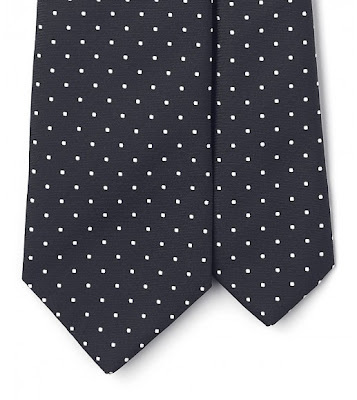 Great guys with a different postmodern perspective of making the tie a wardrobe essential again. Check their site cravattepelliano.com. Simon, thank you for this useful insight; by the way, could you please give some guide lines on the subject “shirt’s collar shape versus type of face”, also which type of collar is more appropriate for a SJ or with a suit? They don’t have to match, no. 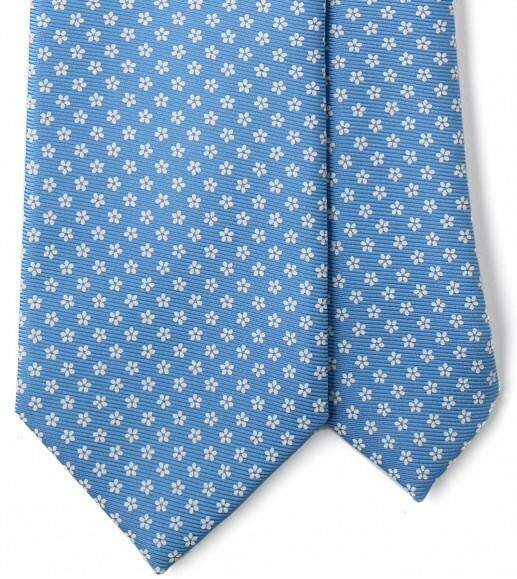 It’s a nice thing to bear in mind, but the same tie width will work with lots of lapels. Do you have any general guidelines for matching tie and lapel width? Surely the proportions aren’t completely unrelated. Within a half-inch of each other? With regards to your recent visit to Drake’s for your MTO tie, is there more choice for MTO ties in their Haberdasher Street location than on their online store?